NightWatch Paranormal has been established to both research and investigate the paranormal though work with clients as well as fellow members of the paranormal field. Our primary mission is to help our clients find peace of mind by providing them with knowledge we've gained from years of experience as well as performing thorough investigations and presenting the evidence we capture in the process. We belive in honesty, dignity, confidentiality and compassion in all our investigations. We hail from central Pennsylvania! Don't think you're in our area? Think again! NightWatch investigates far and wide you never quite know just where we'll pop up next! We try not limit ourselves to helping only those close by. Under certain rare circumstances we will even go out of state for investigations. So please don't hesitate to contact us. NightWatch Paranormal was formed based on need. 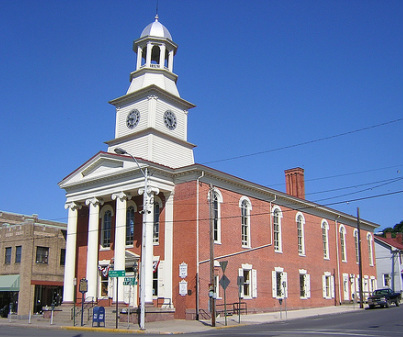 The area NightWatch is based in (Mifflin County, PA) did not have any paranormal investigative groups located in the area. The closest groups were located over an hour away with much demands on their time in their own areas. After encountering many people who spoke about their own need for assistance dealing with the paranormal our founder decided that it was time a group in the Mifflin County area should be formed and thus began NightWatch Paranormal. After hitting the ground running in Mifflin County NightWatch found that many people all over the state were still in need of help as well. Unable to turn a blind eye to those in need NightWatch opened investigations to anyone anywhere we can manage to get to. The group now handles many cases located all over Pennsylvania and stands ready to help even those beyond our states boarders. NightWatch Paranormal follows our founder's vision of honesty, compassion, integrity, passion, and curiosity.